Tucked away in the woods, Fireside is a warm, inviting cabin for a couple looking to rekindle their romance — it's easy to keep the home fires burning in this cozy retreat. There's also plenty to do for a few friends seeking some fun in a peaceful, relaxing setting. 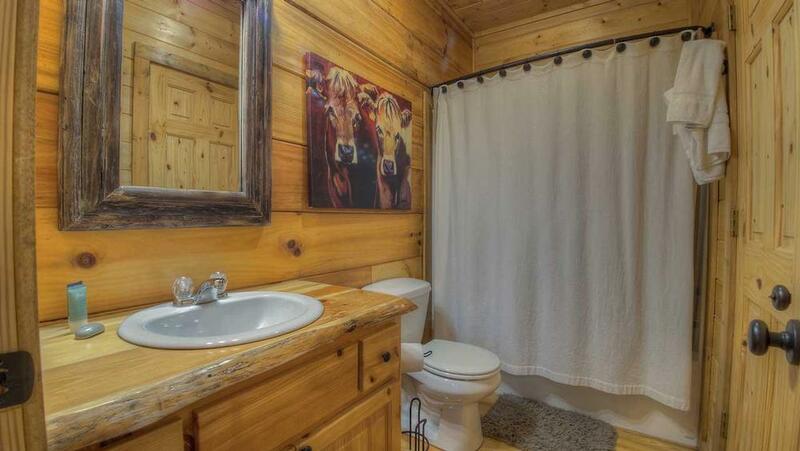 This yellow pine, true log home offers both a rustic yet stylish atmosphere, with upscale decor, leather sofas and contemporary furniture throughout. Yet floor-to-ceiling knotty pine, antlers and other nature-inspired accents invoke a casual, mountain lodge feel. 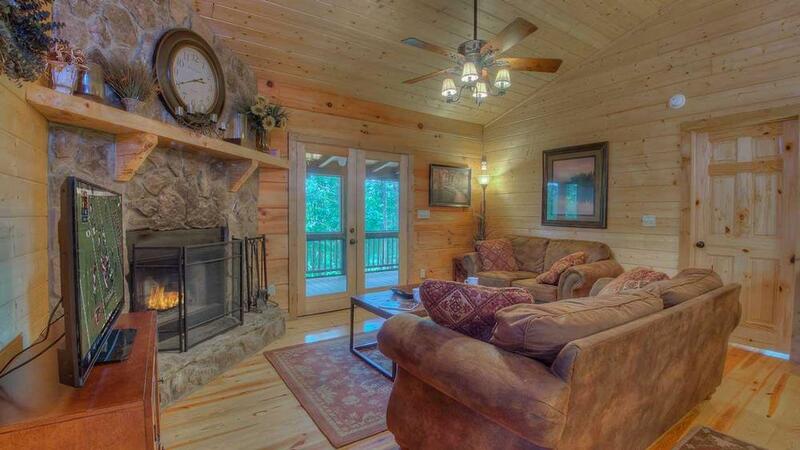 Curl up by the wood-burning fireplace and feel right at home by the hearth. After sleeping in, flip some pancakes and have breakfast at the beautiful dining table or eat-in kitchen island. Spend a leisurely morning outdoors, lounging on the handcrafted, rustic cypress wood furniture with a cup of hot tea and a good book. When you're ready to get out and about, get your blood flowing with an energizing bike ride through the mountainside down to the river. There, anglers can go catch and release fishing, or those looking to keep the adventures in high gear might go whitewater rafting. In the afternoon, have a late lunch back at Fireside on the picnic table under a canopy of trees ablaze with fall foliage. Their fiery leaves and crisp mountain air will inspire and invigorate you. If you're looking to shop 'til you drop, downtown Blue Ridge is minutes away. It's a great opportunity to get a head start on holiday gifts in the boutiques and galleries — everything from baubles to rare antiques can be found here. Then have dinner in one of the charming restaurants lining the streets. 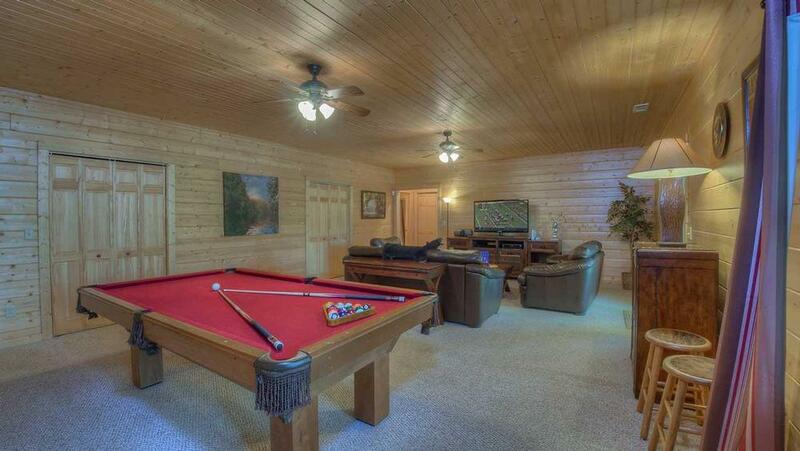 Back home, head to the spacious game room to play pool or the Wii. Grab a drink from the bar and watch a game or movie on the huge flat screen TV, or even get caught up playing board games for hours of entertainment. Guided easily by landscape lighting, head to the beautiful stone fire ring outside. Toast some marshmallows and make s'mores while having a fireside chat under the stars. 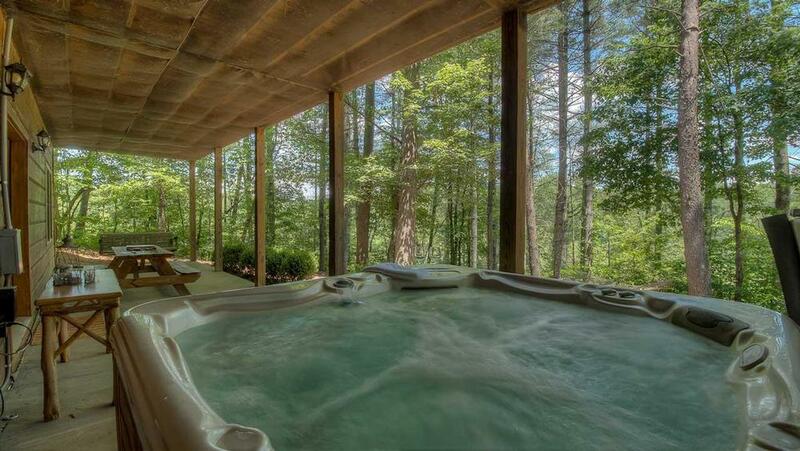 Go for a late night dip in the hot tub — there in the quiet woods, you'll feel like you have the world to yourselves. 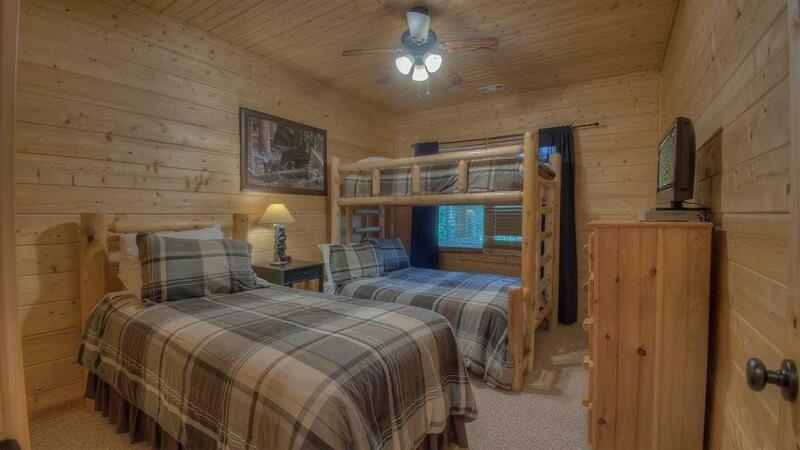 When you're ready for bed, two serene bedrooms are conveniently located on the main floor, with the bunk bed bedroom downstairs. Snuggle up with your sweetie and warm up any chilly autumn night. 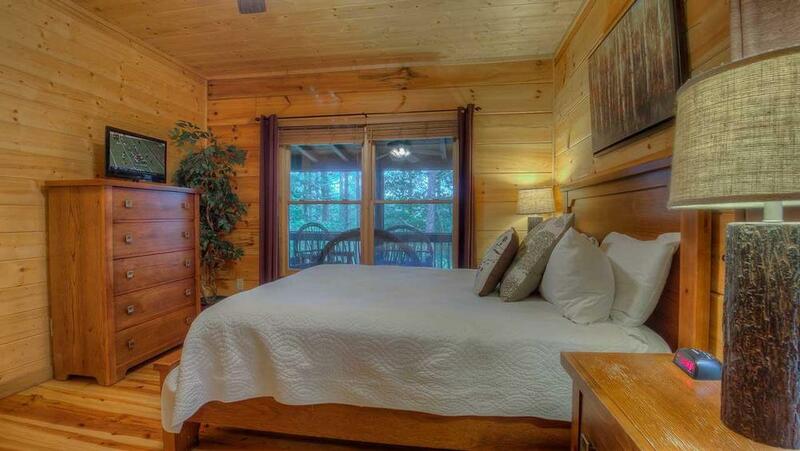 Head to this neck of the woods for a peaceful escape from life's hectic pace. If you're feeling burned out, spending some time at Fireside is just what you need to warm your spirits and reignite your spark. 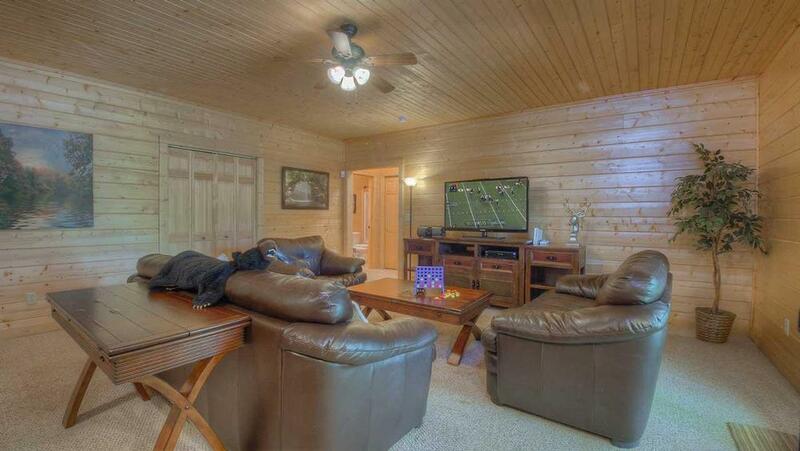 03/19 - The outside seating area was nice, as well as the downstairs game room and television. 02/19 - Enjoyed the hot tub, and being able to use the pool table was very nice. Overall I loved it and will be booking again in the future with my wife. We are already talking about it. 11/18 - The hot tub was probably the highlight but the numerous fireplaces were also awesome making it a great overall experience. 06/18 - We enjoyed the screened porch with the fireplace. 05/18 - Location, location location. Just a short 5 minutes to downtown Blue Ridge this worked out very nicely for us. 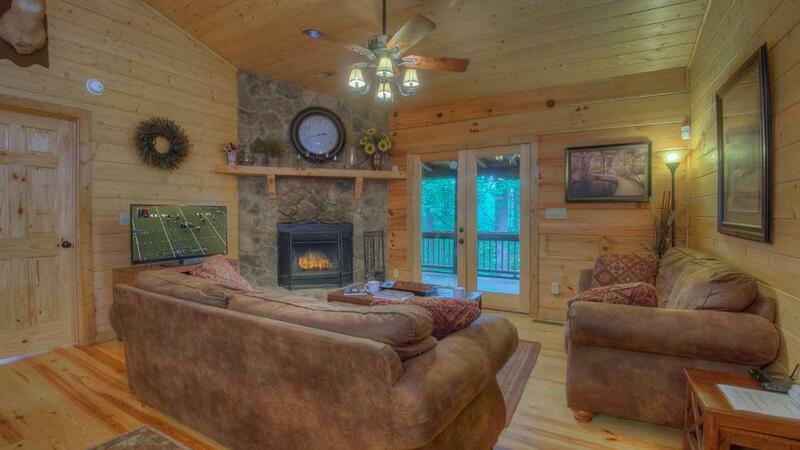 We also really enjoyed the huge screened in porch with its fireplace. 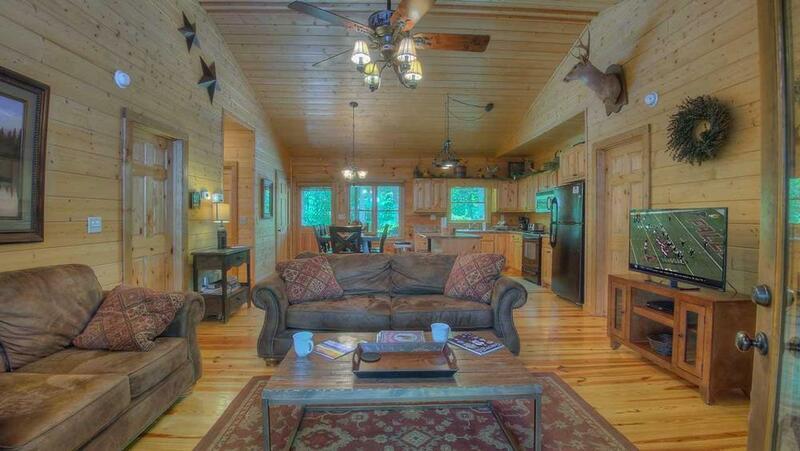 We will rent this cabin again for sure! This was second time doing business with you and like the first, was a pleasure! Extremely clean & well appointed. Very friendly staff. 09/17- The cabin layout was nice. I think the company and staff are awesome, and I frequently use this company. 07/17- Quiet, with an abundance of room for our young adult children and "the adults"! Loved having the downstairs area for the youngest ones to hang out, while we hung out on the screened porch. Great experience! 04/17- The set up was wonderful and all that you provided. 01/17- I enjoyed the fireplaces. 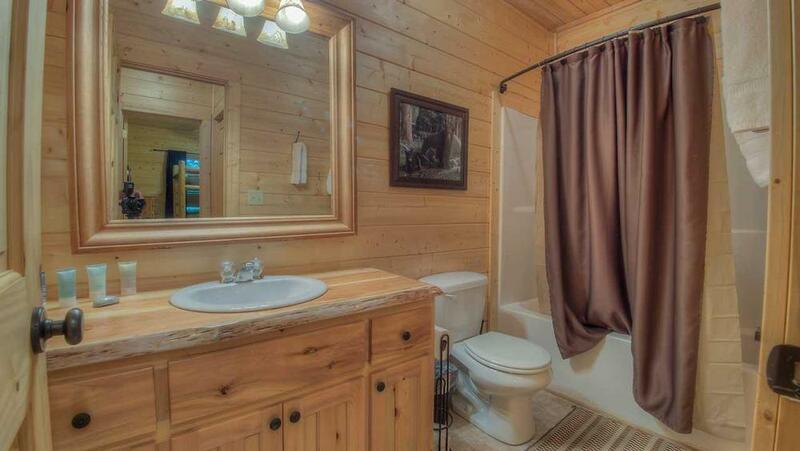 The cabin was well appointed and had everything we needed. This company is awesome. I have only rented twice, but they are great. 12/16- wood fireplace in living area and wood fireplace outside , loved it !!! with the weather being not so cold now , we enjoyed the fireplace outside a lot during the day . 12/16- The bed in the master bedroom was very comfortable. Nice towels. The hot tub worked great. Loved the fireplace. Very professional and thorough. 11/16- Great location. Beautiful interior. It had everything we needed and was very clean. We especially enjoyed the screened porch! We loved the toiletry items provided. Very accommodating staff, always courteous and helpful. 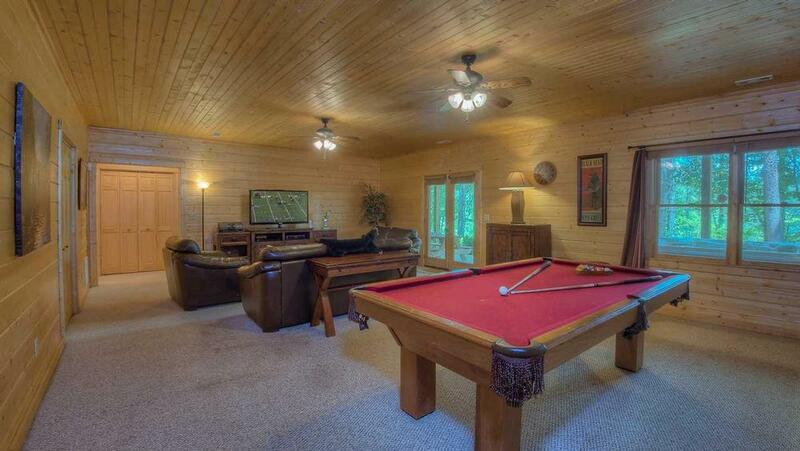 10/16- Our favorite features of the home were the 2 wood burning fireplaces and the pool table. Extremely friendly, professional and accommodating. 10/16- Really enjoyed the screened in porch area and fireplace. Downstairs was nice and very spacious. Very impressed with the company. 09/16- We loved the setup of the cabin. 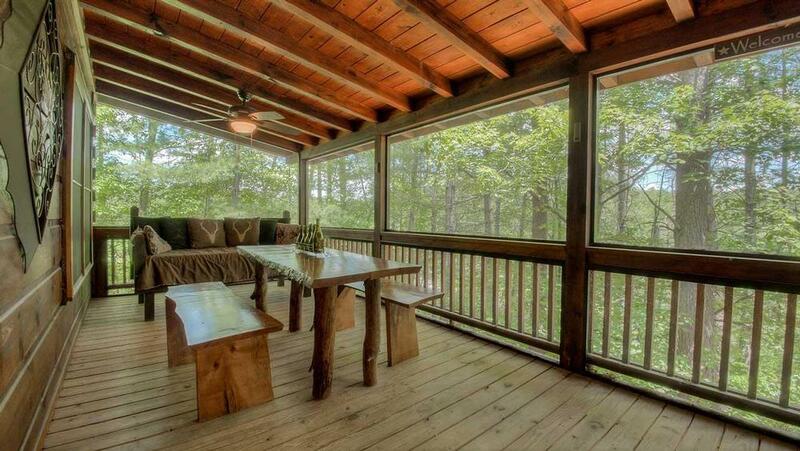 The screened in porch was very nice. We enjoyed the fire pit, pool table, Wii and hot tub. Very professional and knowledgeable staff. 08/16- We enjoyed the location and how quiet,but close to so many things.Enjoyed the screen in porch.Furniture on porch not very comfortable. 06/16- We enjoyed the hot tub, the coziness of the living and game room. We had a great experience from start to finish. The thing I suggest is a sign on the road that leads to the cabin. 04/16- The front porch was great, loved the fireplace and the fire pit. 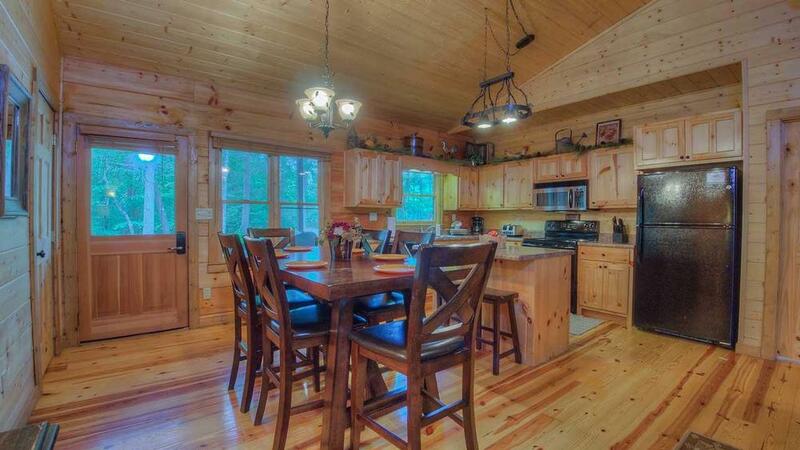 04/16- Cabin was beautifully furnished. 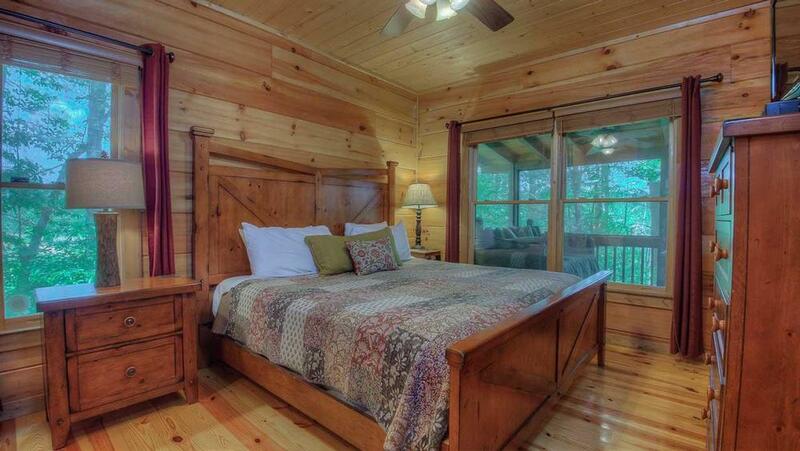 Close proximity to the town of Blue Ridge and the orchard. 01/16- The screened in porch with the fire place. The spacious interior and exterior. Everything was perfect! 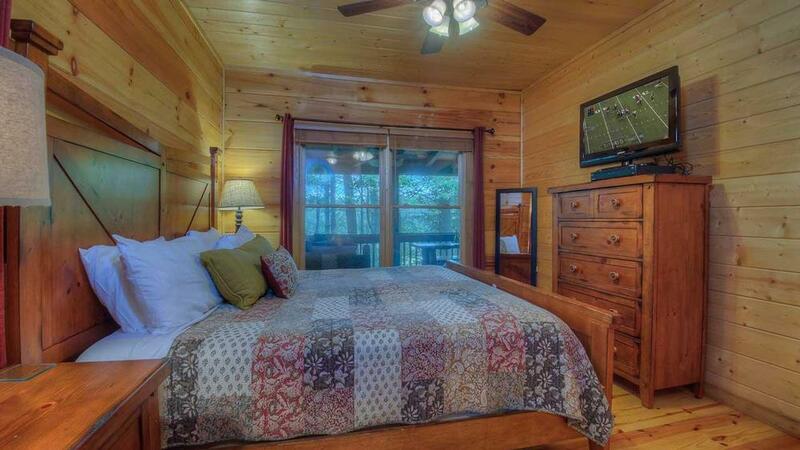 11/15- Wonderful game room, quiet surroundings, swing,hammock, beautiful cabin! 11/15- It was clean and had a great downstairs and accommodations. 10/15- the layout and amenities were great!! We loved the pool table, or "volleyball" as our 3 year old called it and the hot tub. This was a great company to work with, easy rental process and the cabin was great. we can't wait to rent from you again. 09/15- The house was so clean, secluded and relaxing. 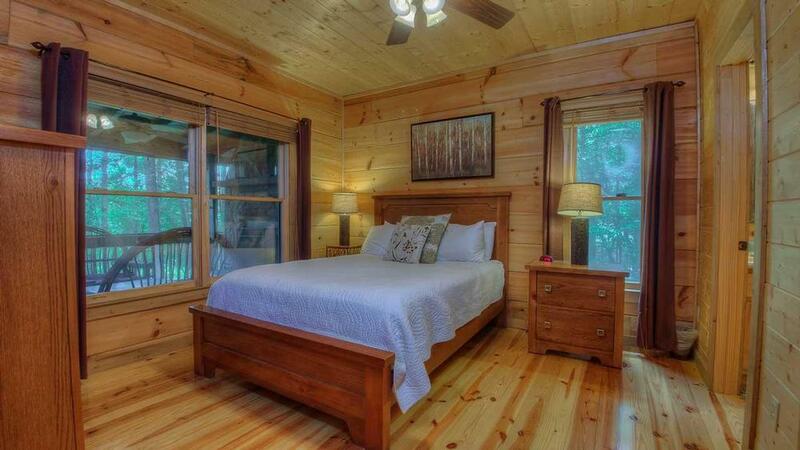 We absolutely love the cabin. 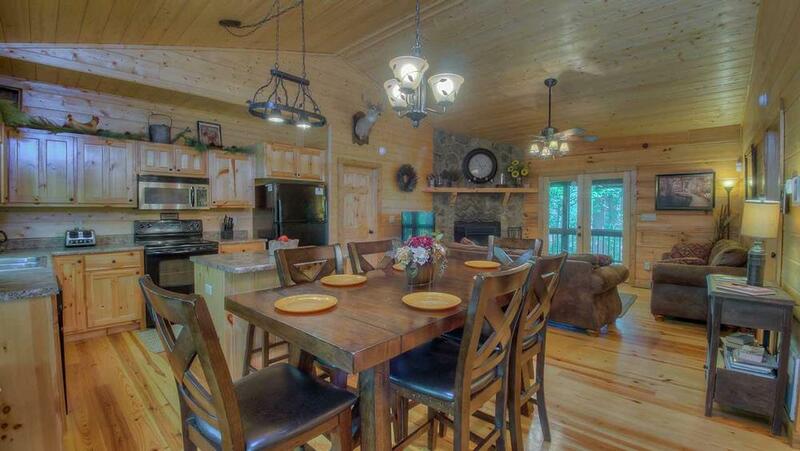 04/15- This cabin is spacious, it is well decorated, and entertaining. This is a great company to work with and communication with me was done well so that there were no surprises. 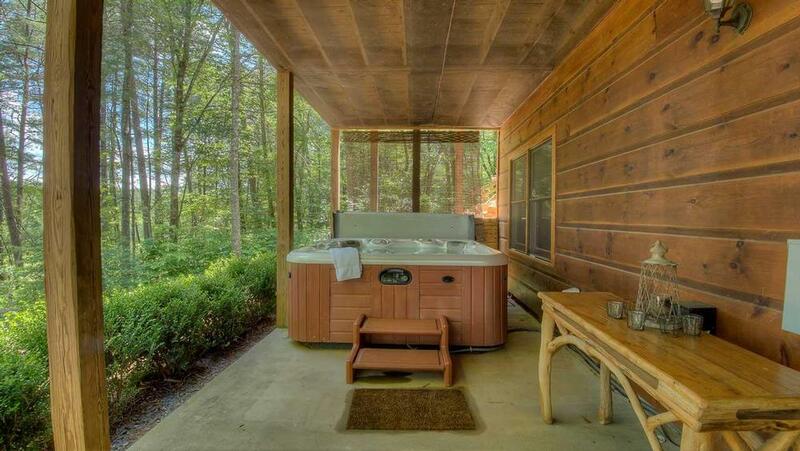 01/15- Our favorite features of the cabin were the firepits and hot tub. The rental process was quick and easy, timely correspondence with helpful information about the cabin and surrounding area. The directions to the cabin were easy to follow. 11/14- close location to Blue Ridge. Comfortable interior. Good roads. Really enjoyed it. 10/14- The home was beautiful and well appointed for our needs. Everything we could need was available to us. While it felt as if we were isolated from the world, the location was very convenient for shopping, dining, etc. 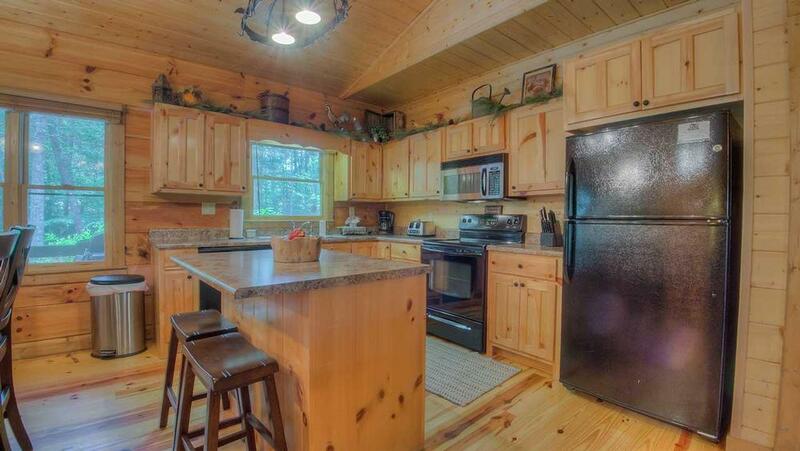 10/14- Wood floors, walls, ceilings. 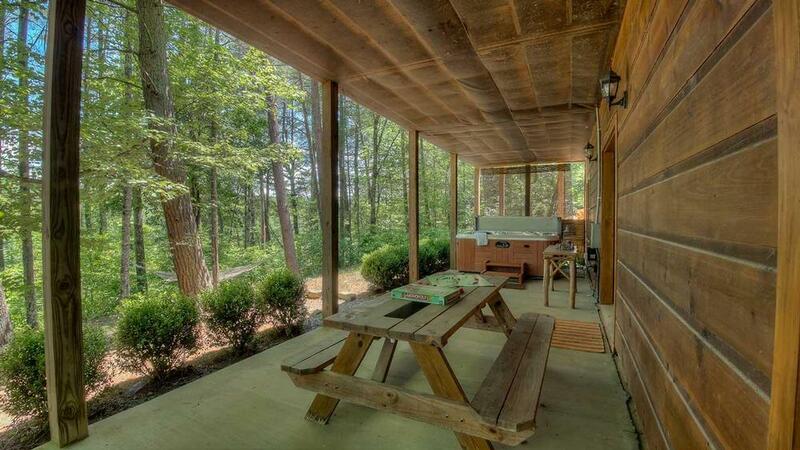 Screened in back porch with fireplace, several places to gather and a wonderful daybed! Floor plan is perfect. Feels like home and love. Quiet, relaxing and peaceful. Town has wonderful shopping and places to eat. SO many of the shops and restaurants are super pet friendly! 08/14- The home was very spacious. The fireplaces, fire pit, hot tub, pool table, and wii game were all very nice features that we all enjoyed.From the reservation to the end of our stay everything was great!! The book left in the cabin with great information on the cabin and all the activities to do during our stay was wonderful. 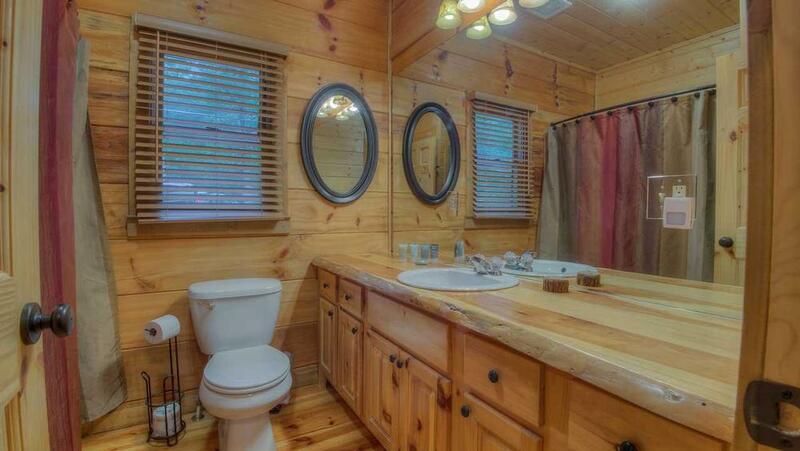 The cabin was excellent. It was very clean, had every amenity we could need, and was close to Blue Ridge. The decor was nicely done and it felt like a home. The screened porch was our favorite feature. Many hours were spent out there decompressing from the hustle bustle of life.